Amazon – Transcend 64 GB JetFlash 500 Retractable USB Flash Drive – TS64GJF500E (Black) for $34.99 shipped. 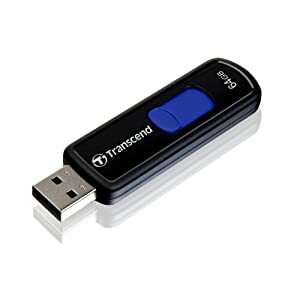 Amazon has great deal on USB Flash Drive.Get the Transcend 64 GB JetFlash 500 Retractable USB Flash Drive – TS64GJF500E (Black) for $34.99 with free shipping. Originally it is priced for $72.99. Head over to Amazon to buy.